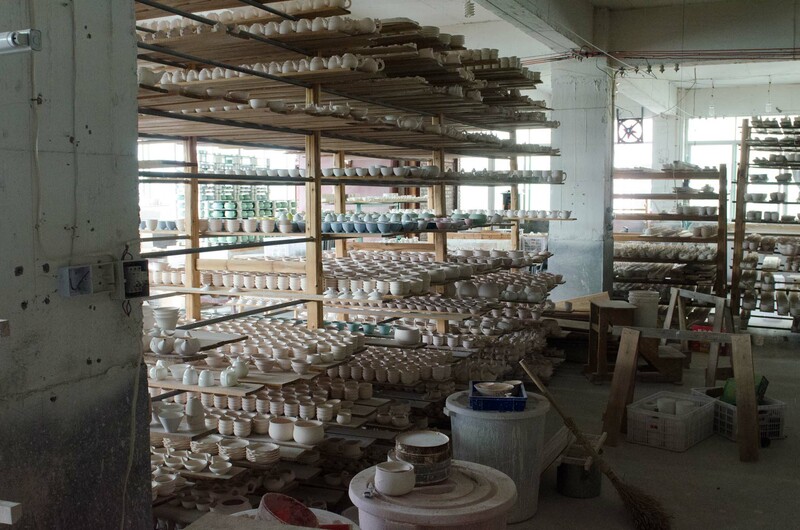 These photos are from a visit to the factory that makes the porcelain teaware sold on this site. 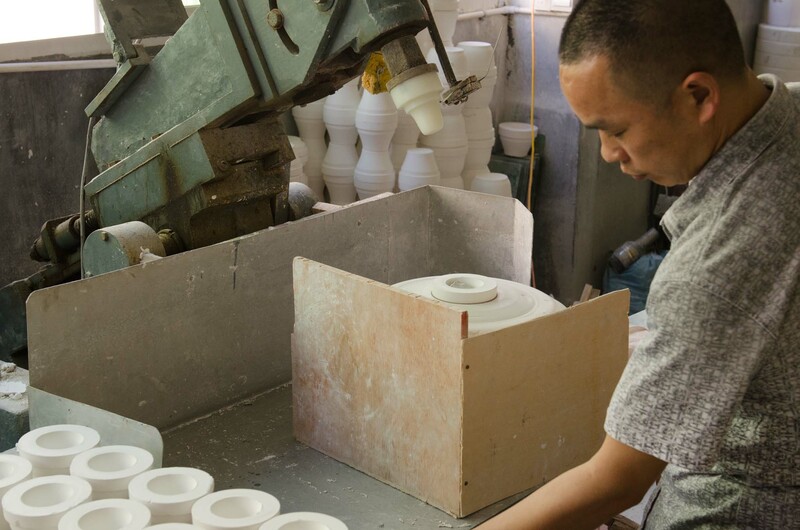 The owner is a long time family friend who has a factory in Dehua. 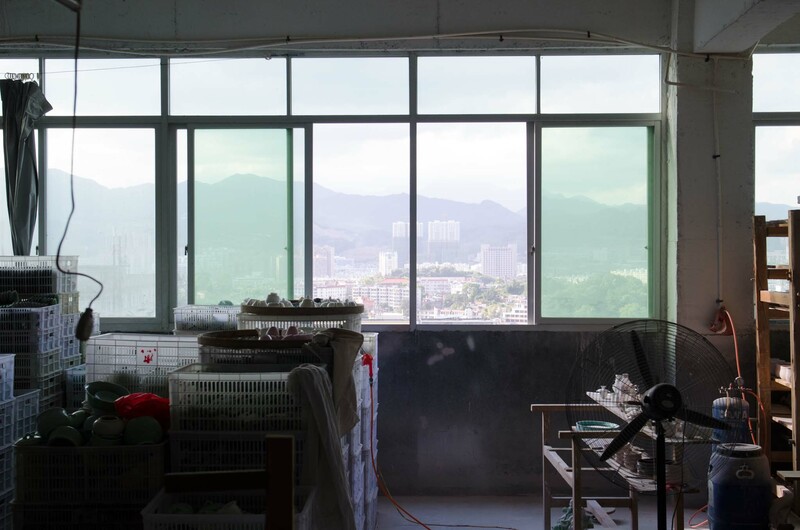 The following photos show the floor of the factory that makes teawares. Finished wares for sorting and shipping. The kiln is in the back. Drying racks and staging for unfinished wares. 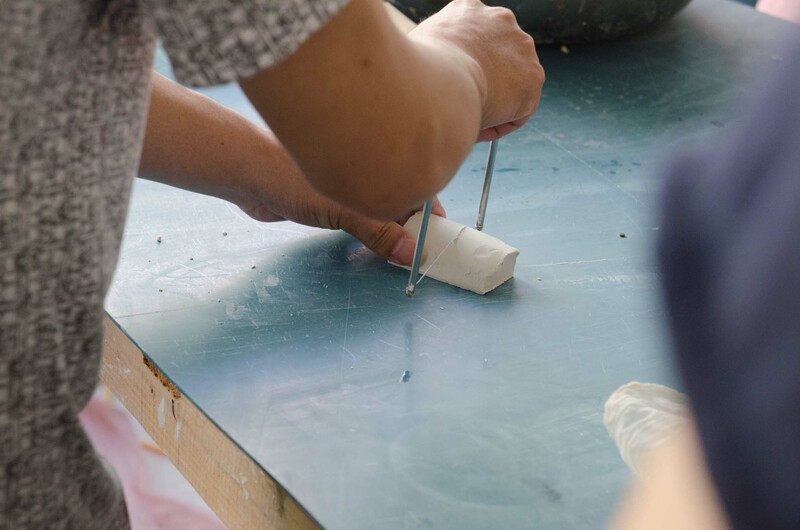 Cutting a piece of clay. 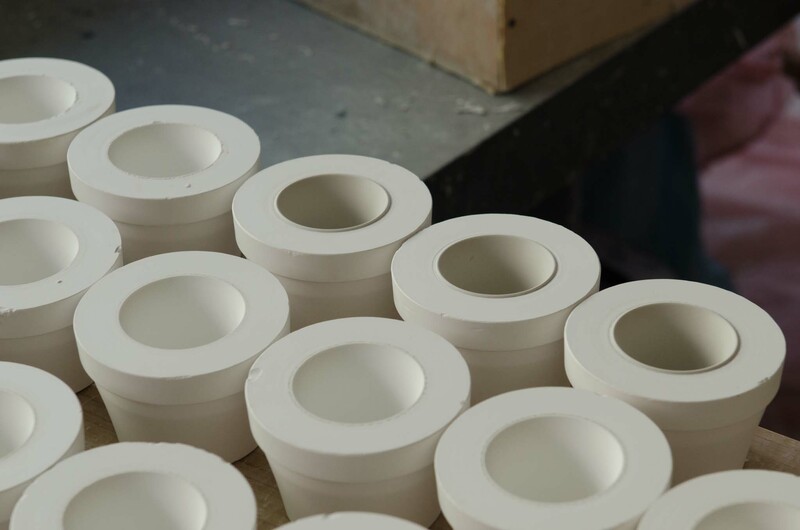 Rotary forming is similar to slip casting in that a plaster form is used. 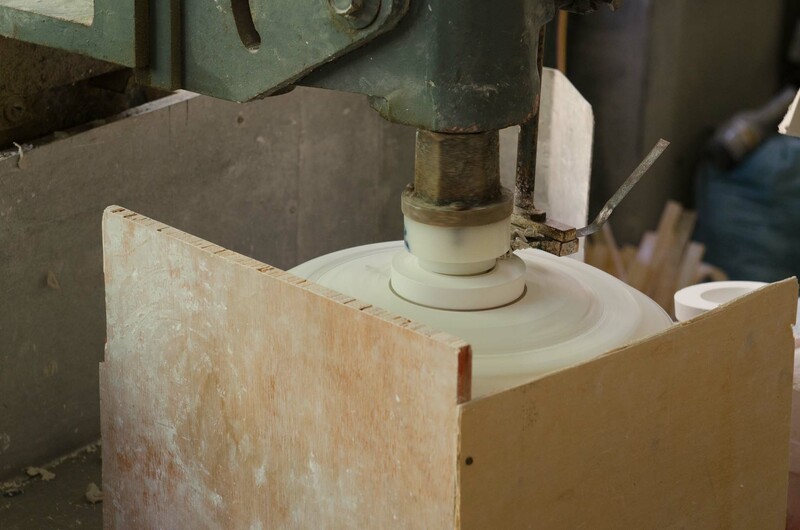 The difference is that the plaster form is single sided, the other side of the mold rotates and presses the clay into the plaster form. The plaster form is removed from the machine with the clay and allowed to dry together before separation. The inner shell pushes the clay into the plaster form. 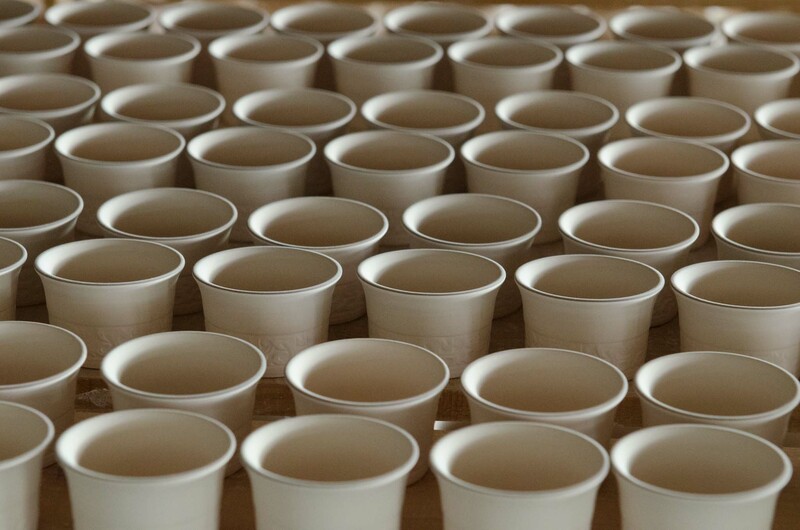 The cups will be removed after they harden. 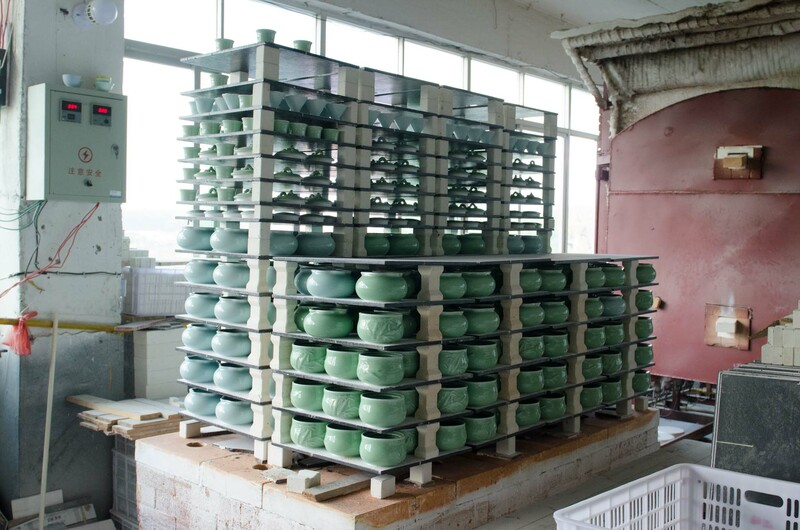 The kiln, pictured below, utilizes a track to allow the bottom to slide out. Loading and unloading is much easier like this! 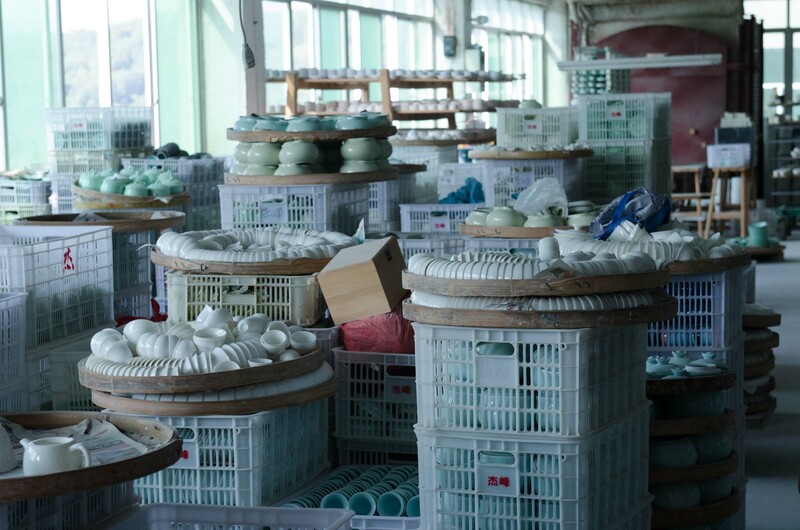 Kiln with finished wares ready to unload.